Airships are thought to be unsafe after the German passenger airship ‘Hindenburg’ caught fire and crashed in New Jersey in 1937, claiming 35 lives. But Britain’s Hybrid Air Vehicles (HAV) is claiming that airships that have been ruled out in the past have a bright future. HAV has unveiled an airship, ‘Airlander 10,’ which took off on its maiden flight on August 17th. It was scheduled to take off on Sunday, August 14th, but the test flight was postponed at the last minute due to a technical issue. Though Airlander 10 successfully completed its first voyage, but crashed into a pole just seven days after its maiden voyage. Airlander 10 has been nicknamed the ‘Flying Bum’ due to its distinctive shape. It was originally developed for the US Army, but the project was scrapped due to funding issues. HAV brought it to the UK and developed it for civilian use. 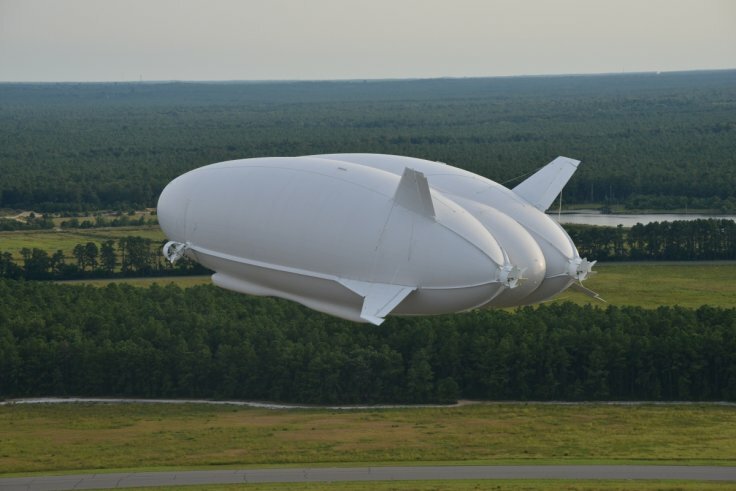 The 300 foot long (93 meters) airship is longer than the biggest passenger jets. It can travel at up to 90 mph (148 kph) and stay aloft for up to two weeks. The Airlander can hover and land on almost any surface, including ice, the desert, and water. Unlike traditional airplanes, the Airlander emits little pollution and produces less noise. Instead of hydrogen, the gas used in the Hindenburg, Airlander uses helium which is not flammable.